Readers rant about unkind words, sweetened-beverage tax on prune juice, hostility to cars in the city, Olympic National Park goat removal, last game at KeyArena; rave about removing dealer license-plate holders, graffiti clean-up, help for wheelchair user, assistance after fall. RANT To me for chewing out a driver who took a parking space at a Ballard market that I was waiting for before they arrived. When I got angry, the person said another space was opening up that I hadn’t seen. I shouldn’t have resorted to unkind words. The world needs more of us to pause, hold our perspectives less tightly and to listen. Hoping to see you again to extend an olive branch, or that you see this, so I can make amends. RAVE To everyone who removes their auto-dealer-advertising license-plate holders. Are they paying you to promote their business? Free your plates! RAVE AND RANT Rave to King County Parks staff who so promptly clean up the graffiti on the Burke-Gilman and Sammamish River trails after it’s reported. Rant to vandals who deface public property. RANT To Seattle government’s hostility to cars in the city. Without access and parking for cars, we’ll lose our vibrant city core. People won’t want to come downtown to shop and go to restaurants if we have to contend with one-way streets, restricted turn lanes, fewer lanes for cars and separate bike lanes. And what about tourists who can’t get to a hotel or local attractions? Cars as part of the overall transportation mix are essential for a vital city business core and a healthy tourist industry. RAVE To the young man who helped a stranger struggling to get her wheelchair up a hilly downtown street. He’s a hero, and Seattle and the world need more good people like him. RANT To the National Park Service for their poorly thought out decision to remove or exterminate Olympic National Park mountain goats based on unsound science. Killing animals is not conservation. Hopefully people will pursue a successful lawsuit to stop this unnecessary massacre. RAVE To my neighbors who responded to my screams of anguish after I slipped on wet grass, fell and injured myself. They brought me, a total stranger, ice, crutches, aspirin, an umbrella and faith in humanity. 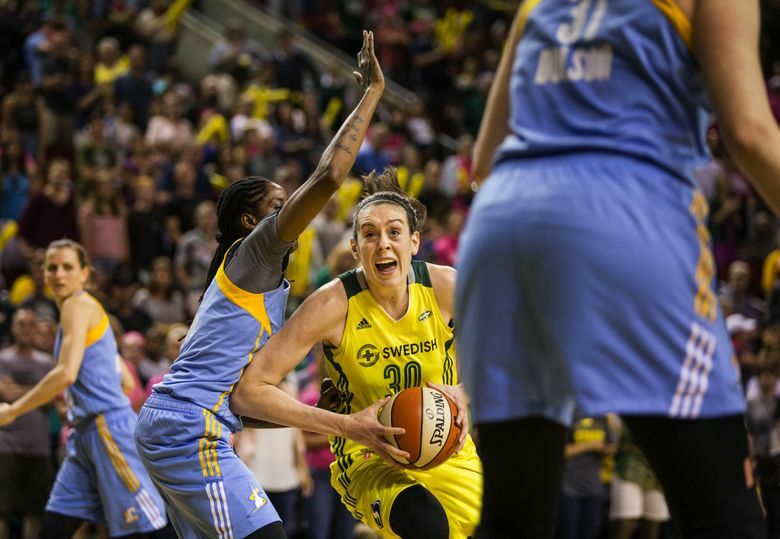 RANT To the fuss over the possibility of an NBA team playing the last game in KeyArena before it’s remodeled when we already have a professional team, the Seattle Storm, playing all their home games there. The Storm, not an out-of-state team doing a publicity stunt, deserves to play the last game in the Key before it’s remodeled.